Think Spring! Reserve your Sophia Garden bed now!! Download 2019 Application HERE. 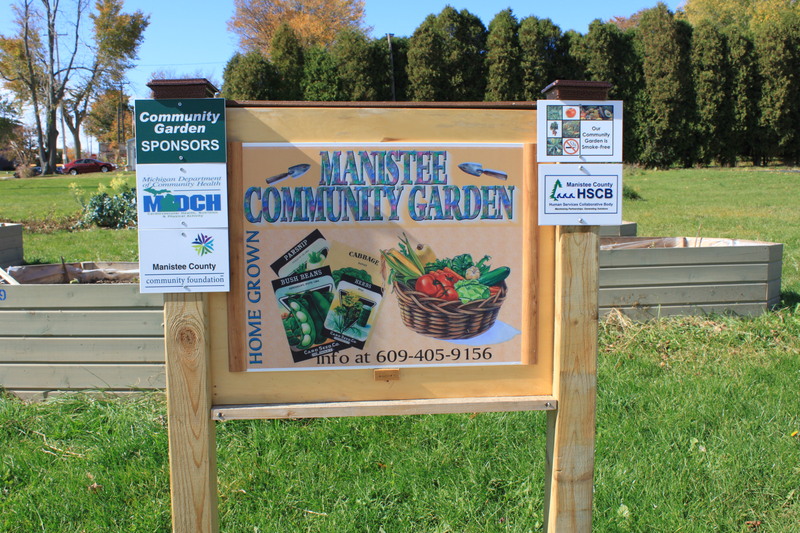 Manistee County Community Gardens supports community gardens through education, community engagement, food access initiatives and the development and distribution of best practices. MCCG works to grow a healthy, self-sufficient and strong community-of-gardens by helping to establish and support community gardens throughout Manistee County. Supporting a network of community gardeners through the development of a best practices toolkit as well as a network of experienced volunteers. Educating and empowering participants to use gardening as a vehicle to build community by hosting regular workshops and events. Maintaining the Sophia Street Community Garden as a model of best practices in community gardening for the region. Improving participants’ health through education and increased exposure to whole foods. In the summer of 2016, Jesse’s Garden on the east end of River Street in Downtown Manistee, with the help of a dedicated team of volunteers, harvested over 5,000 pounds of produce which was distributed to 8 different food pantries over the course of the growing season. Also, if you are interested in starting your own community garden you can find a toolkit put together by our amazing Sophia Street Garden Facilitator and Super Volunteer, Sharron Lemmer. Thanks Sharron!! All the tools your need to get started in your community or neighborhood. Keep the community growing and the positive energy flowing!! !